Who doesn’t love a Mac? Whether it’s the big-screen iMac or a compact MacBook, Apple’s designs are appealing. The security hassles are also much less compared to a Windows PC since virus and malware writers don’t spend much time on the Mac OS X. And the iMac’s Magic Mouse is a delight that the passage of time does not diminish. So why isn’t everyone buying a Mac? Simple answer – Because Macs are expensive compared to a PC. You can get a basic Windows laptop or desktop for a few hundred dollars. The obvious question then is why people don’t buy cheap Acer or HP hardware and install the Mac OS X operating system on that computer. At least, not by lay people. 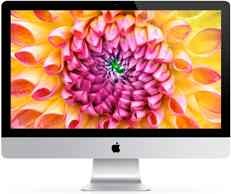 Mac operating systems run only on hardware from Apple. Folks that know these kind of stuff like the back of their hand say that Apple has written special code in its OS X operating system (be it Snow Leopard, Lion, Mountain Lion or the upcoming Maverick) that looks for a special Apple security chip. If it does not find the security chip, then OS X will not run on that hardware. There is a OSx86Project that helps users to get Mac OS X to run on non-Mac hardware. Hey, there’s even a term for a regular x86 PC running OSx86. If you haven’t guessed it, it’s Hackintosh. But trying to install OS X is not for the faint-hearted. Not something I’d advise average computer users to attempt. If you’re curious, here’s the web site address for the OSx86Project.